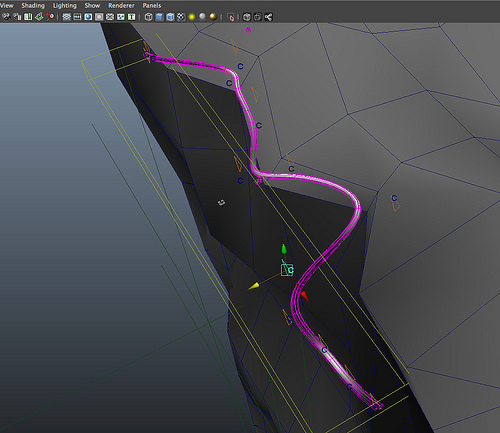 i am checking out the new maya2012 fluids updates. the self attraction feature is good for pushing water over the edge. in case of waterfall, it works, but it need a lots fine tuning and lots of work to optimize, because its really slow. its hard get air pressure behavior or a king of drag just with the velocity friction. i think the particle based setup with secondary fluids support works best for waterfall. much better control and faster simulation. the next step is feed all the data into mantra rendering. mantra works wuite well but for close of water –> i need a fast raytarcer like modo or vray. that will my next step. with current simulation setup i can push the details to the level i needed at still pretty fast sim times. done in maya with nparticles and a same expression on collison, bounce and stickness. sim time was 30 minutes on myold macbook for this 1000 frames. this is first state of levelset. second simulation should triple the density and detail. overall is dirty fake for crashing wave. but the details looks promising and the simulation times are really fast. i scattered some point for prepare meshing and rendering in modo fo this first levelset. this is a quick demo of realtime preview of my waterfall rig. the volume represents the implicitly volume rendering in renderman. 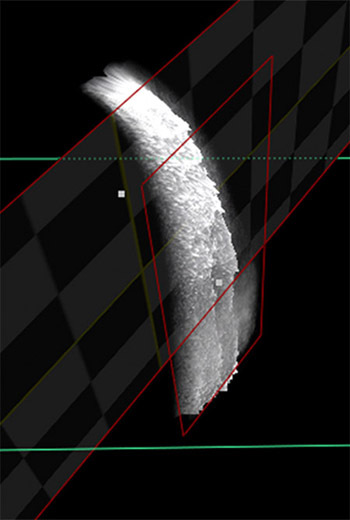 i used couds shape to show in maya opengl the size and opacity of the implicit volume (renderman). i hope i can post a video with all “water-structure” feature of my rig. finally, i had finished sets of the nodes in nuke for my waterfalls. i can change the look of the waterfalls in realtime and place it in the 3d space in nuke. so i can fly around in 3d-space and place so many waterfalls i want… the rendertime takes about 5 seconds in nuke (incl. displacments) with this different waterrfalls. (all created with same base-layer).